Weaves are growing in popularity these days. But if not installed or maintained properly, they can wreak havoc on your natural hair. 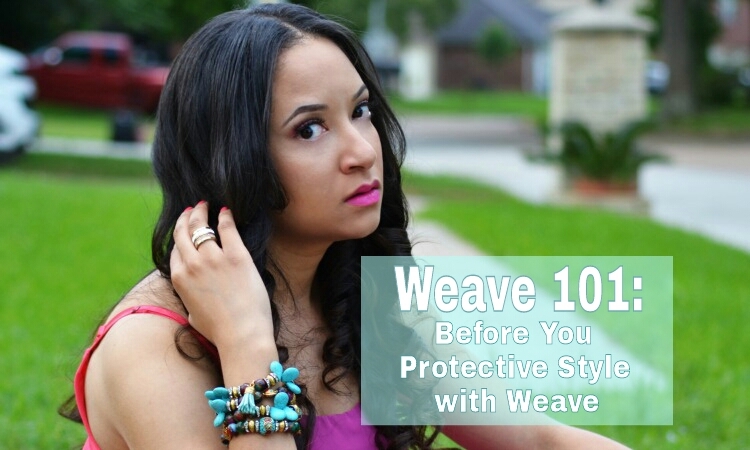 Here are a few key factors to consider when desiring to utilize weaving as a protective style. When considering installation of weave, as a natural hair specialist, I recommend that all my clients opt for a closure versus leave out. In recent years, many women have come in with extensive, irreversible damage in the crown section. Most times this is a result of excessive heat styling from attempting to blend the two textures of hair (weave and natural hair ). Closures help eliminate this chance of damage, and can be very nature when laid properly. Prior to installation, research braid patterns and identify which one will work best based upon the style you desire. When in doubt, visit a stylist who specializes in weaving and braiding. * Shampoo, deep condition and spray hair with a moisturizing leave in before installation. * If hair is fine, use a protein conditioner in place of deep conditioner. * Use a texture that closely resembles your own will allow for you to have a leave out without the use of heat. * Use an applicator bottle filled with castile soap and mild shampoo and shampoo once every 2-3 weeks (be sure to cleanse scalp). * Use the same method listed above to condition hair by placing conditioner in applicator bottle and applying to scalp (be sure to massage thoroughly). * Go in between tracks and apply a leave in and allow braids and weave to dry thoroughly (not allowing it to dry can lead to mold or fungus growth). * Wear installation for no more than 8 weeks (wearing longer can lead to breakage and hair locking). * Install should be done by a professional in order to avoid the least amount of damage. * Opt for virgin hair which is a much higher quality of hair. * Shampoo weave extensions before installation. Great tips, I tried the closure and my scalp was itching. What types of closures do you recommend?